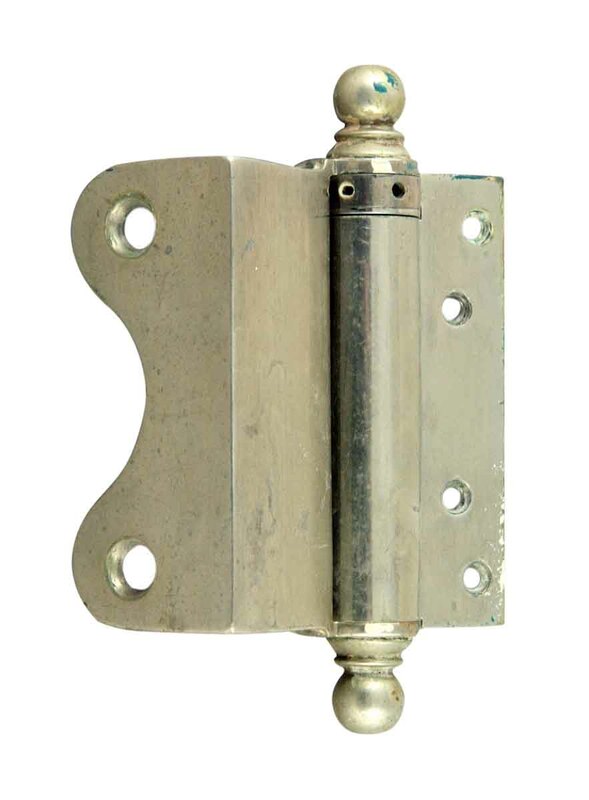 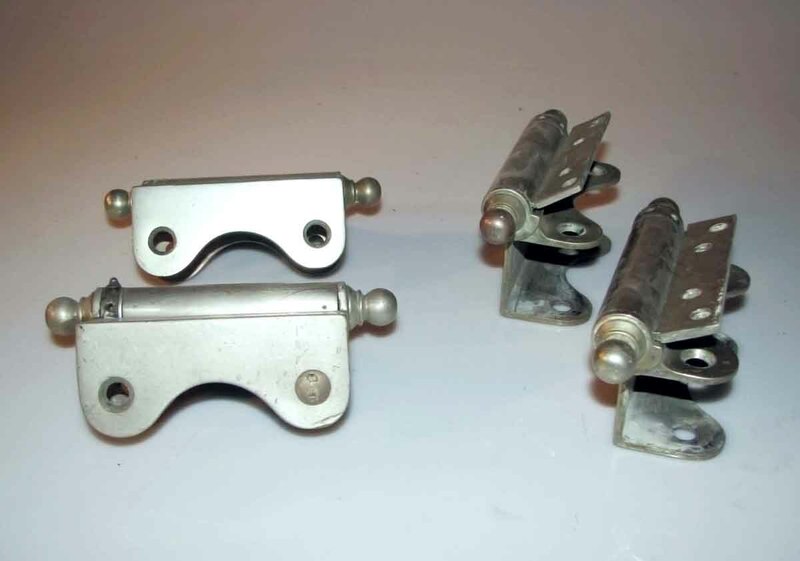 These bathroom hinges are made of quality heavy bronze castings with a nickel plating. 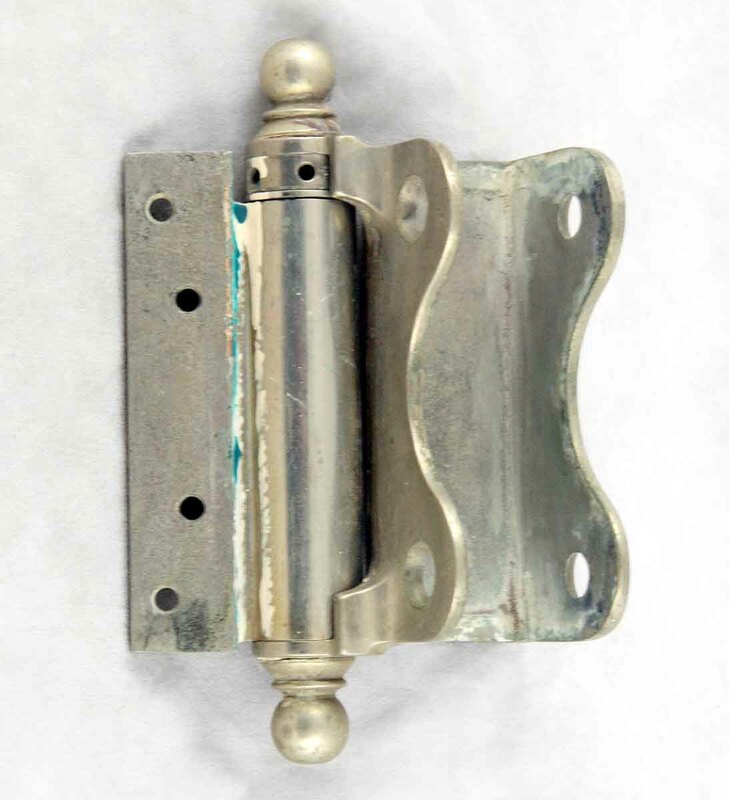 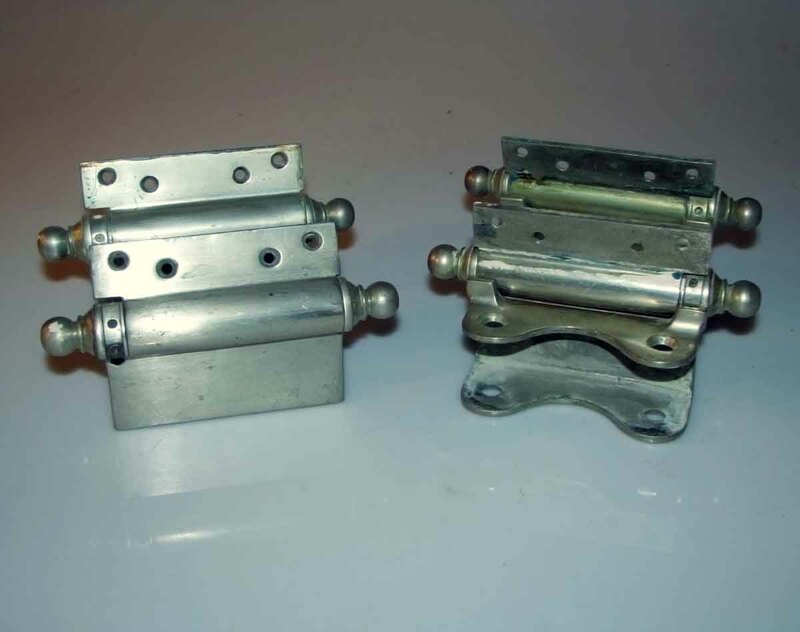 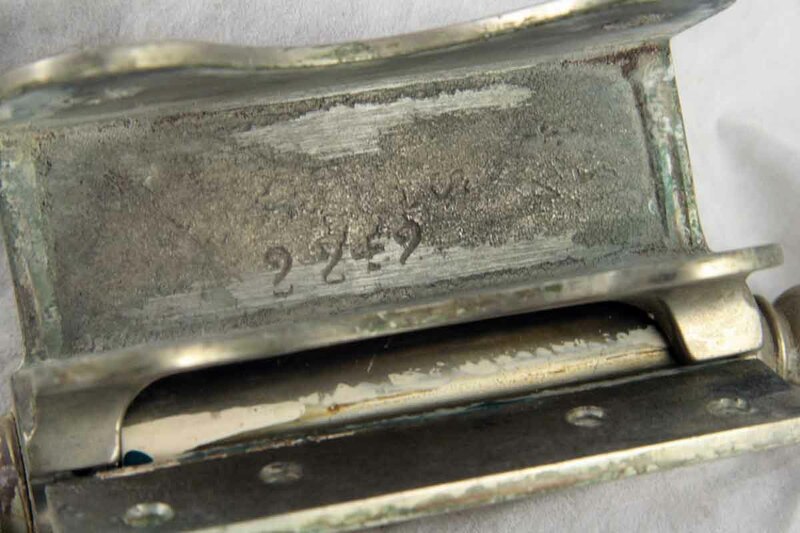 The nickel is in good condition and the hinges are mechanically working well. 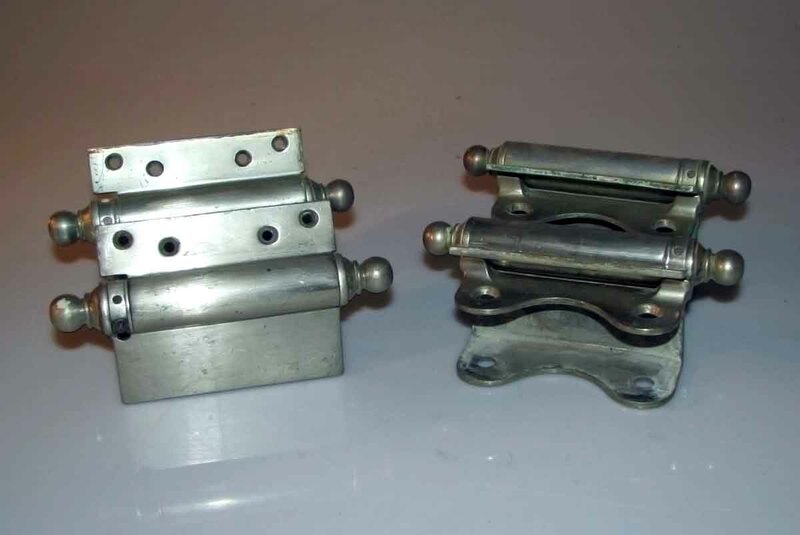 Priced by the pair.